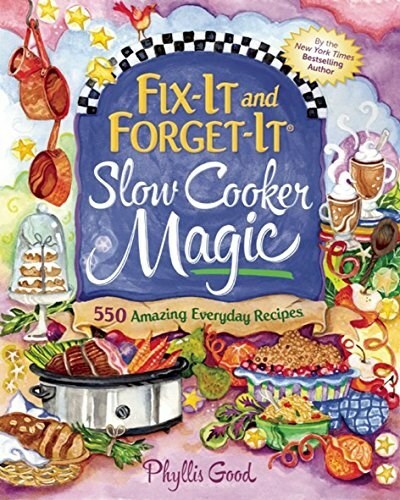 Featuring 550 new, mouthwatering recipes, cooks will be amazed at the “magic” their slow cookers can perform. In addition to delicious soups, stews, and chilis, cooks will also find pizza, cheesecake, bar cookies, quick breads, and dozens of other surprising treats! Each page is packed with easy-to-follow, carefully tested recipes. No one has enough time these days—with a slow cooker, anyone can prepare a fantastic meal in minutes! The recipes use ingredients most people already have in their cupboards—no searching high and low for exotic foods that will break the bank.